The average Betta lives about three years. However, that doesn’t necessarily mean you'll have your Betta that long. Why? Because a Betta purchased at a pet shop is often one year old already. Males, in particular, are allowed to fully mature, so their fins and colors are well developed. Females may be sold at a bit younger age, but they will generally be at least six months old when offered for sale. One of the keys to enjoying your Betta longer is to buy a healthy, young fish from a reputable pet shop. Avoid buying pale fish as that is a sign of disease. The fins shouldn't be torn or ragged. The eyes should be clear and not bulging out. Look for any signs of sores or injury on the body. A healthy Betta is active and will respond to you when you place your hand on the glass of the tank. Good care and a healthy diet can prolong the lifespan of your Betta. Even so, it’s rare for a Betta to live more than five years. So if your fish only lives a year or two after you purchase it, don’t assume you’ve been a bad owner. That’s a perfectly normal lifespan. Another factor in longevity for Bettas is keeping the male Bettas apart, so they don't fight each other. Their common name is Siamese Fighting Fish, and the males are apt to engage in territorial battles. They can injure each other, and that may reduce their lifespan. Some aquarium owners who want to keep more than one male Betta in a tank use Betta condos to keep them separate. However, there is speculation that they still experience stress in seeing other males and that could have an effect on their health. In general, it's wise to follow the rule of one Betta per tank. There was a fad of keeping a Betta in a vase or another small container rather than an aquarium. This was unhealthy for the fish in several ways. The water temperature isn't regulated and at common room temperature is probably lower than they are used to in the wild in Thailand. Their ideal water temperature is about 80F as would be provided by an aquarium heater. Otherwise, the fish will be listless and may refuse to eat, which is not good for their health. There must also be enough open space at the top of the water for the Betta to breathe with their upturned mouths and labyrinth breathing organs. Cleanliness of the water is another factor. The water in a small container should be changed every other day if it isn't filtered. Bettas are prone to fin rot if they aren't kept in good water conditions. Are you wondering how long the oldest Betta lived? 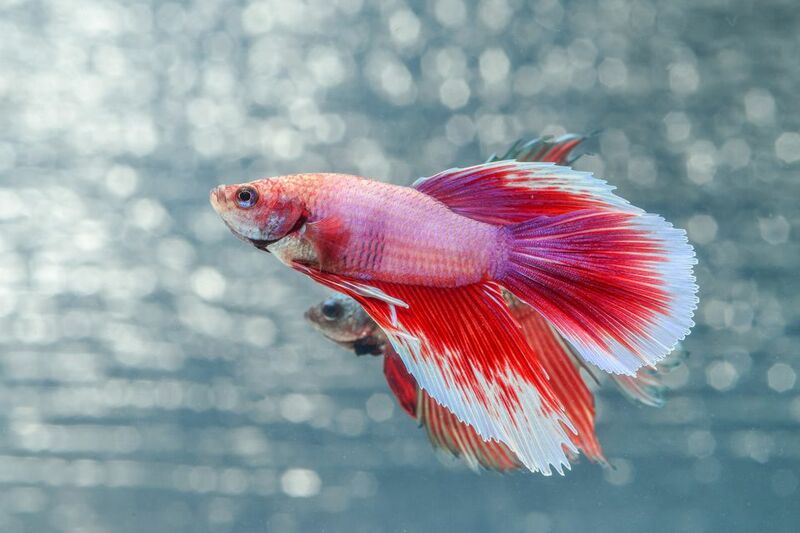 There are documented cases of Bettas living as long as nine or ten years in captivity.